The Risk Takers series looks at how a few of Canada's creative minds fearlessly went their own way. InteraXon's Ariel Garten made a bet that existing EEG technology could be used for a sleek consumer device that has a myriad potential applications, from turning on lights to mental health. 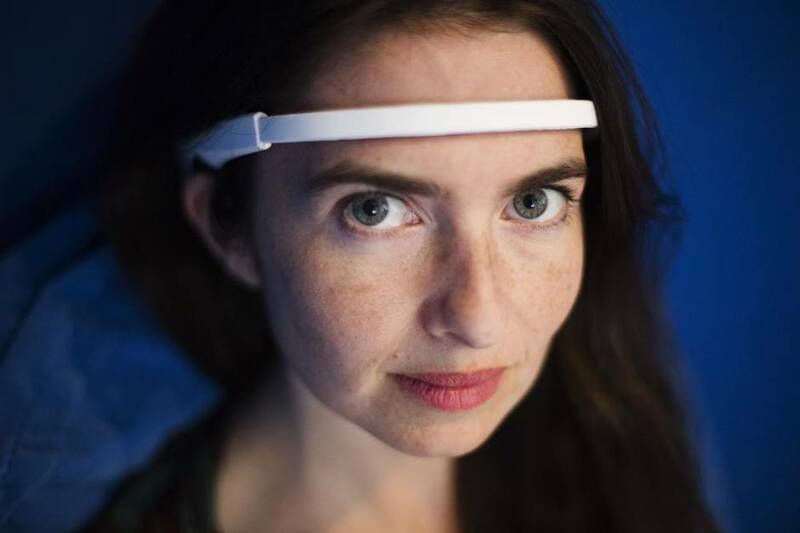 Brain-sensing technology that has the potential to allow users to control anything with their minds and brings us one step closer to hands-free, wearable computing: This is the promise of entrepreneur Ariel Garten’s current project, the Muse headband. 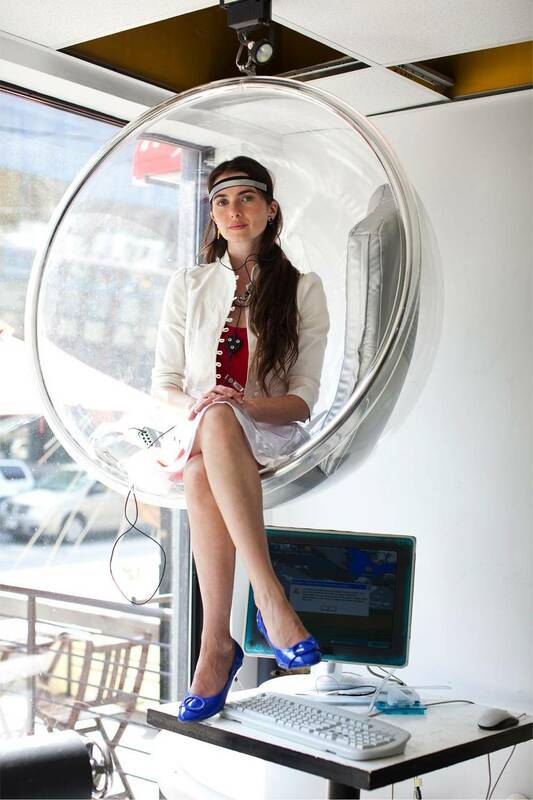 It is a seemingly natural result of 35-year-old Ms. Garten’s eclectic background as neuroscientist, psychotherapist, artist and fashion designer. In 2011, when TEDx Toronto was just getting off the ground, Dan Jacob, co-founder and chair of the event, which bills itself as an incubator of exceptional ideas and catalyst for change, was scouring the city for innovative thinkers worthy of the TED brand. That’s when he came across Ms. Garten, whose early experiments blending art and neuroscience suggested how we apply computer technology in our daily lives could change dramatically. It takes a certain kind of person to be able to take an idea that people raise an eyebrow to, and make it real. 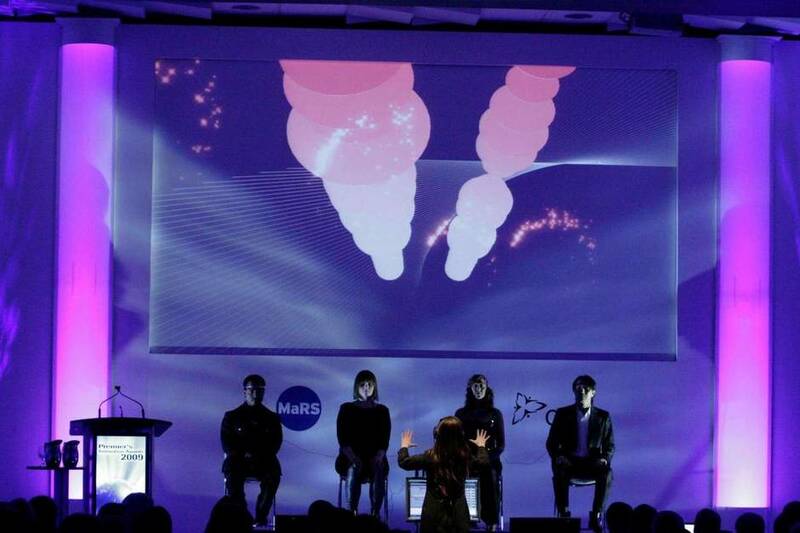 During the 2010 Winter Olympic Games in Vancouver, Ms. Garten, CEO of Toronto-based tech startup InteraXon, unveiled a brainwave-sensing headband to the world through an ambitious project that allowed users on the West Coast to light up the CN Tower in Toronto, the Parliament buildings in Ottawa or Niagara Falls in Ontario, thousands of kilometres away by using just their minds. 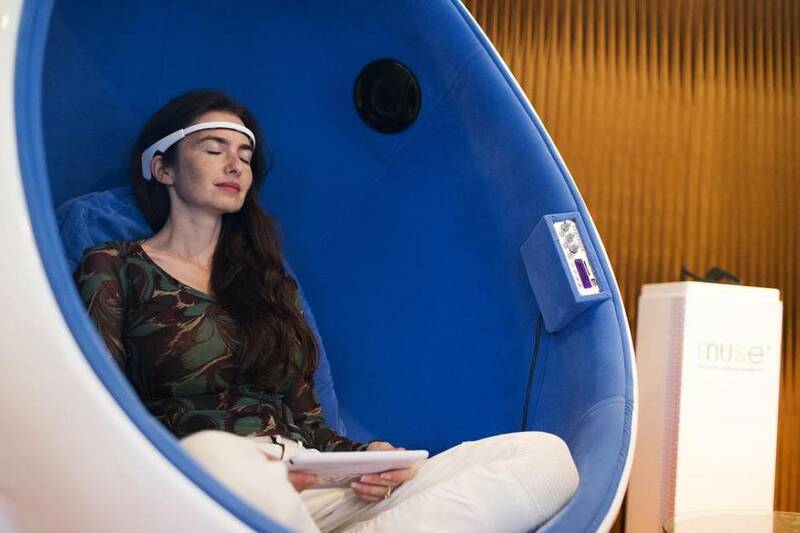 The company has gone on to commercially develop the futuristic headband, called Muse, promoting it as a tool to increase concentration and reduce stress. Mr. Jacob knew in an instant he’d found his next TEDx speaker. “She is a risk taker and someone who is incredibly passionate about her craft,” he said. Risk-taker. It’s a term Ms. Garten, now 35, has heard often to describe the kind of person she is, and the non-linear career path she has followed to success. She is, after all, a woman in her early 30s heading up a tech company, with no tech background or Masters of Business Administration degree to hang up on the wall. Yet, risk-taker is a term she is reluctant to take on. “I am not going to be riding on the back of a motorcycle. That is something that I have actually forbidden myself to do because it seems very risky … but do I do things differently? Yes,” Ms. Garten said in an interview at the InteraXon head office on King Street in downtown Toronto. Jumping into the unknown when it comes to business comes naturally to Ms. Garten. The daughter of celebrated painter Vivian Reiss and Irving Garten, a real-estate investor, she credits her parents for imbuing her early on with a no-fears approach to self-employment. “It never occurred to me that you would get a job and work for somebody else. The reality that I grew up in was: You have an idea, you bring it to fruition yourself and you make what you want to happen in the world,” she said. By high school, Ms. Garten was selling her own clothing line in Toronto and New York. Her avant-garde fashion work later took the form of a popular retail store, Flavour Hall, in Toronto. In 2005, she closed the store to open a private psychotherapy practice specializing in helping clients work through issues of anxiety and self-worth. “I was always fascinated by the brain and how it works,” she said of the sharp turn in her professional roles. Her résumé also includes stints, many of them overlapping, as an assistant in a stem-cell research lab, tour guide, real-estate manager, artist and art gallery director. The common denominator in all her activities is creativity. “It’s a story that you are good at art or you are good at science. That might be true for some people, but for me, I liked learning about things and I like making things and you could apply that to anything,” she said. 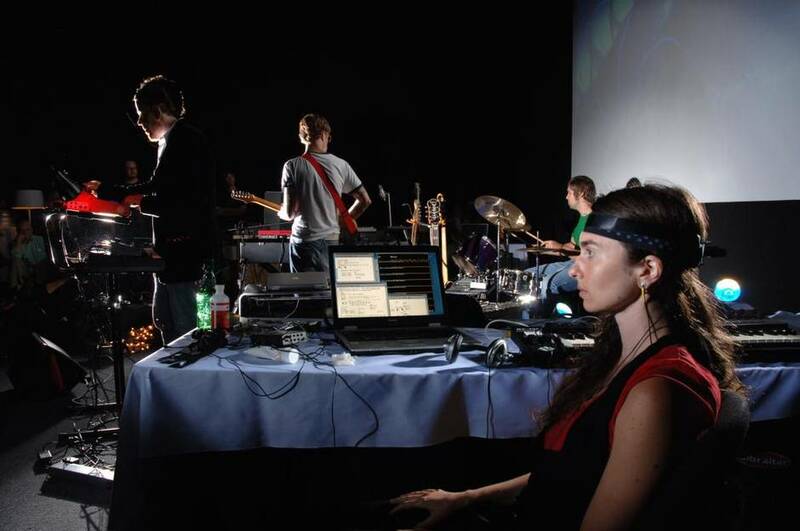 She worked with Steve Mann, a pioneer in harnessing the existing brain-activity sensing technology (such as that used in electroencephalography, or EEG) for computer interfaces. The Muse headset has embedded electrodes that sense brainwaves, which are sent to a device and translated to instructions. Its current application aims to improve stress management and concentration. Because the headset can measure alpha and beta brain waves, it gives users feedback via a device such as a tablet as to how calm (alpha waves) and focused (beta waves) they are. Users can change their results by training themselves to control their brainwaves. But this kind of control has implications with a wide range, from controlling electronics to gaming or health applications. In the three years since Mr. Jacob first met Ms. Garten, he’s watched her company grow from one with an interesting idea to a brand on the brink of global recognition, with more than 40 employees and investment capital topping $9-million, according to the company. Though InteraXon has some competition in other companies working on the technology, the field is still very new and wide open. In August, InteraXon announced it had signed a deal with Indigo, its first commercial partner, to sell the Muse headband throughout the bookstore chain. InteraXon declined to provide current sales figures, but Canadian Business magazine reported the company has sold 5,000 headsets since officially launching the product in May, listing actor Ashton Kutcher among its investors. The company says it is working with developers and neuroscientists to explore other functions and possibilities. Mr. Jacob recalled the powerful impact of Ms. Garten’s 2011 TEDx talk where she invited the audience to view technology not as a distraction, but a means to help us better understand ourselves as human beings. Ms. Garten says taking a risk is critical, but risk alone is not enough. “You have to take a risk and then actually follow through on what you have initiated,” she said.